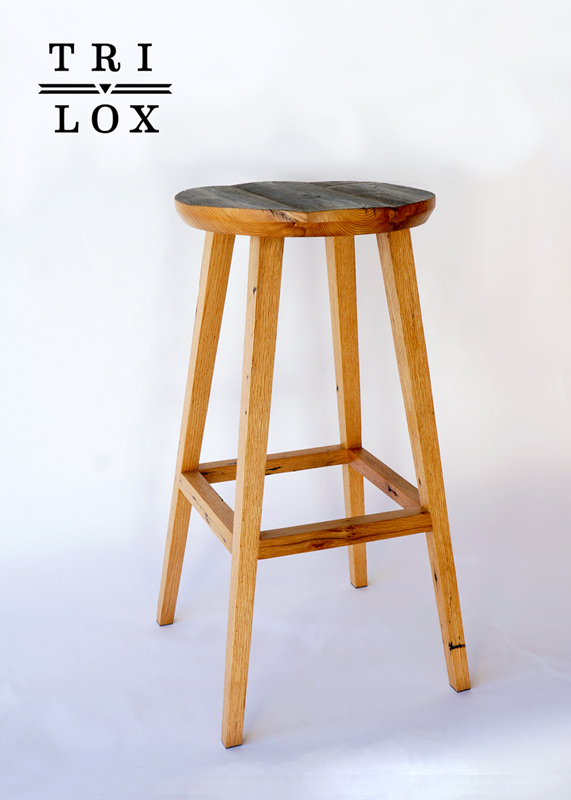 Tri-Lox bringing a piece of New York City's skyline into your home. 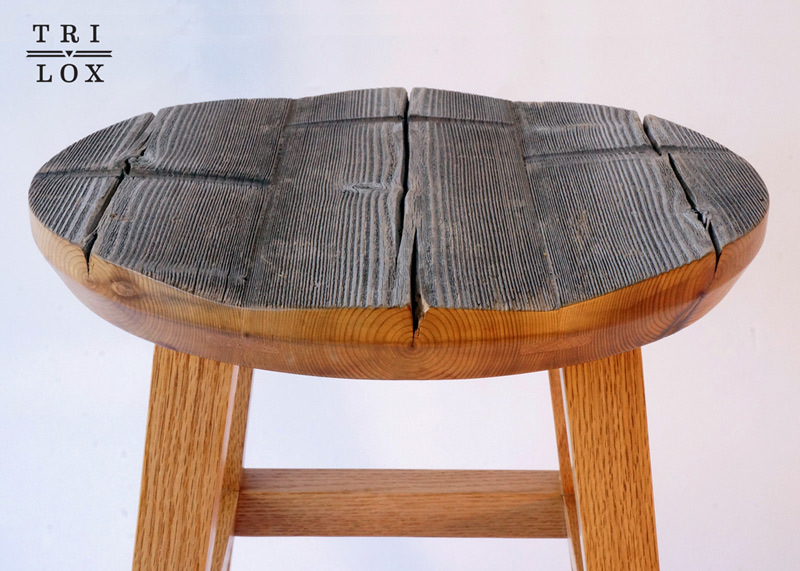 Our stools, crafted from 100% reclaimed materials, feature tops made of Cedar water towers salvaged from NYC rooftops. The Cedar boasts a gorgeous silver patina, resulting from years of exposure to natural elements. Select a height that fits your needs and customize the hardwood legs with a species of wood that matches your style. 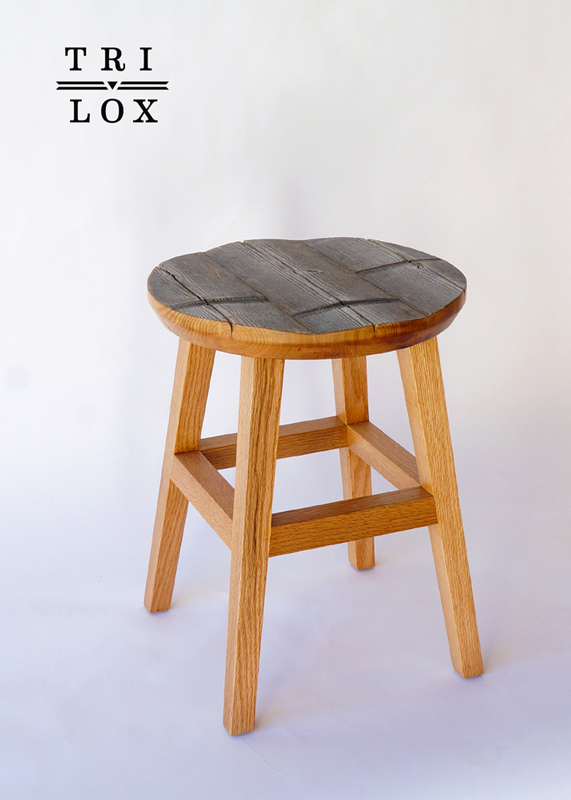 Bar Stool footprint 16" x 16"; Low Stool footprint 12" x 12"